Los Angeles Review of Books, 9781940660028, 144pp. The Los Angeles Review of Books launched in April of 2011 as a humble Tumblr, with a 2600-word essay by Ben Ehrenreich entitled The Death of the Book. The gesture was meant to be provocative, and to ask a genuine question: Was the book dying? Was the internet killing it? Or were we simply entering a new era, a new publishing ecosystem, where different media could coexist? The LARB website currently publishes a minimum of two rigorously edited pieces a day, and we ve cultivated a stable of regular contributors, both eminent (Jane Smiley, Mike Davis, Jonathan Lethem) and emerging (Jenny Hendrix, Colin Dickey, Rachel Kaadzi Ghansah). We ve found our way to a certain tone that readers expect and enjoy: looser and more eclectic than our namesakes the New York and London Review of Books, grounded in literature but open to all varieties of cultural experience, far from the New York publishing hothouse atmosphere but not myopically focused on L.A. either. 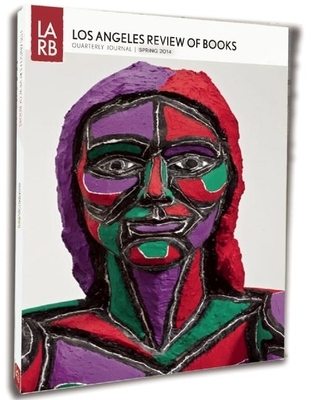 The new LARB Quarterly Journal reflects the best that this institution has to bring to readers all over the world. The long form literary and cultural arts review is alive and well, and now, has a new home in Los Angeles.